Download the app and book your fare with only a few presses of a button. We use the location of your phone to determine where we can pick you up. Of course, you can always determine a pick-up point yourself. We pick you up and drop you off. We only work with licensed drivers and ensure that you are picked up and dropped off as safe as possible. No hassle with money and know in advance who your driver is. Save your favorite addresses, view the overview of your fares or write reviews about your driver. All-in one app. A: You can find us in the App Store of Apple for iPhone or the Play Store of Google for Android devices. V: With what can I pay the fare in advance? 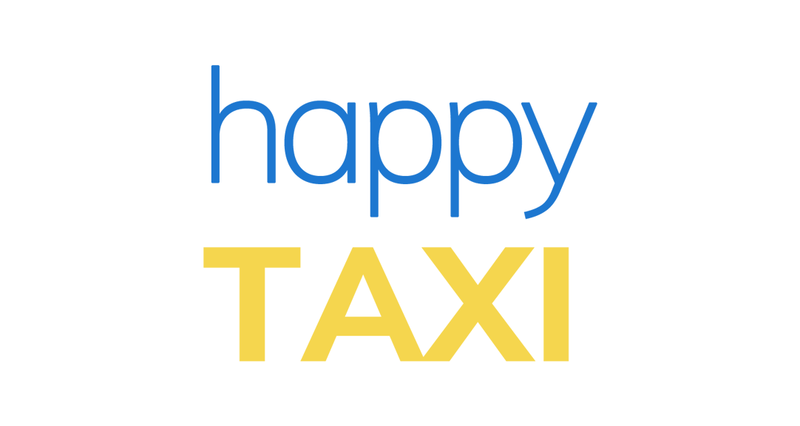 A: You can pay the fare in advance by means of iDeal, Gulden or your HappyTaxi balance. V: Do I have to pay the fare in advance? A: You are not obligated to pay in advance, you can also indicate that you want to pay in the taxi by means of cash, debit card or credit card.